The above products are recommended for installation or mounting of the 1/4" Rods. Why choose between style and strength? 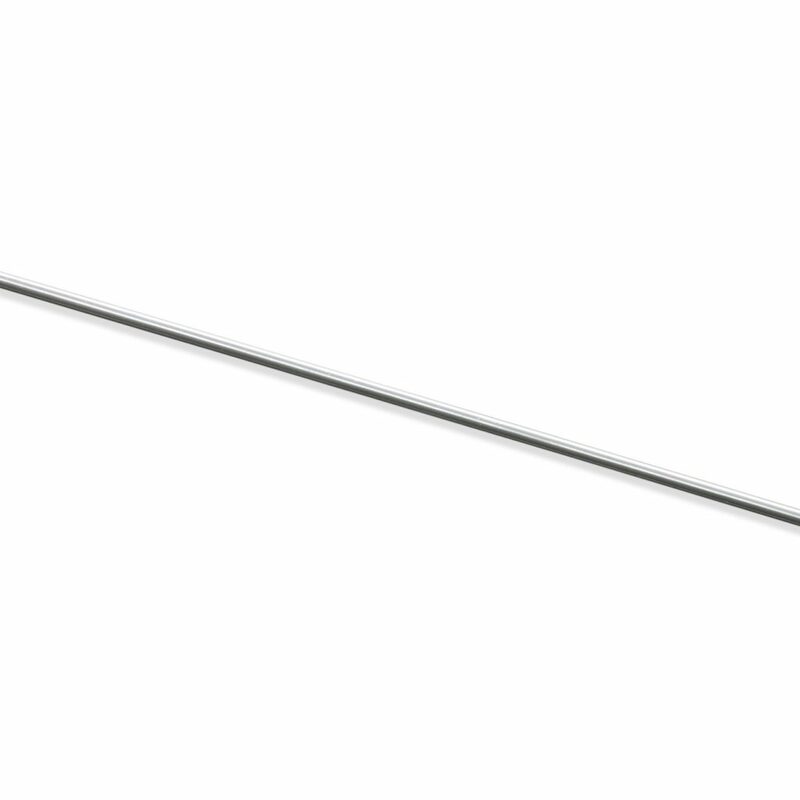 At 1/4” thick, stainless steel rods are a horizontal infill as striking as they are strong. 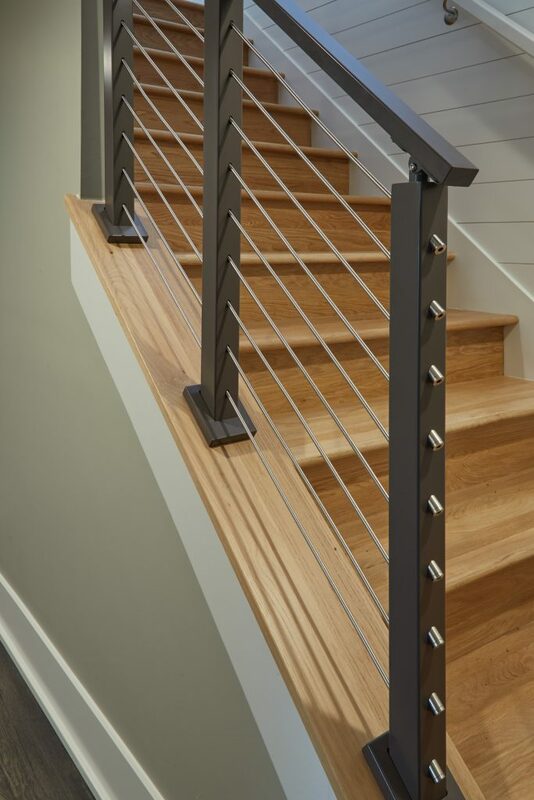 Combine them with our metal Rod Railing Posts for a contemporary system that’s built to last. Durable 1/4” Thick, Round Rods sold in Lengths of 2′ to 20′. Manufactured from 2205 Duplex Stainless Steel. 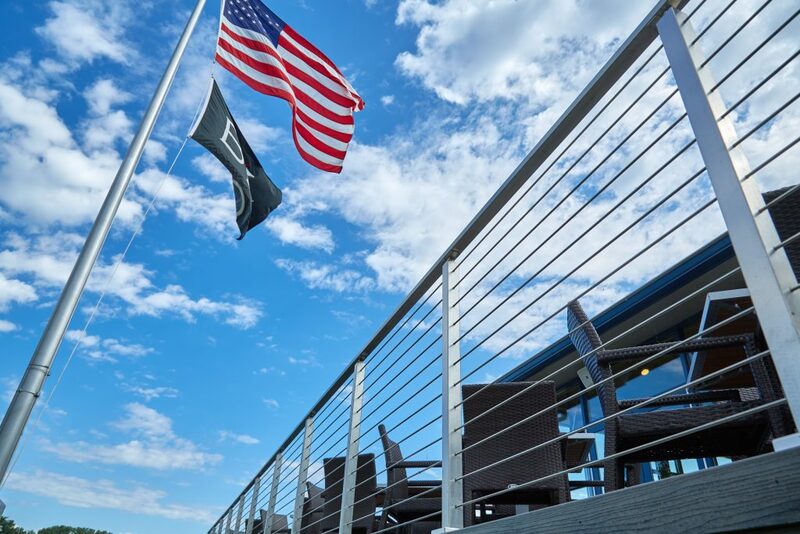 That is correct, our rod railing system is designed to work with the fasteners you’ll find in the Rod Railing Accessories page. While our rod system uses the same crimping tool as our cable system, we utilize non-standard crimping dies in conjunction with the 1/4″ rod system. If you specify in your online order notes that you require special dies for your railing system and crimping tool we would be happy to include the dies for you. How often do you have to have a post for the rod railing? Also, can you incorporate your existing wood newel posts with this railing? We recommend spacing your rod railing posts every 4′ on center. Yes – you can incorporate these rods with existing wood newel posts, but you’ll want an Oval Washer for both ends of each of your angled tension runs, and a Stainless Washer for each end of your level tension runs. can you get the rods powder coated in black? We do not powder coat our 1/4″ rods at this time. If you have additional questions about finish options, please give our team a call at 1 (866) 226-6536. That is correct – our rods are hollow. With proper installation, our rod system will meet both the 4″ sphere rule & exceed your load requirements to meet code. If you have additional questions, please give us a call at 1 (866) 226-6536. A 10-pack of our rods includes 10 rods cut to the specified length. For example, a 10-pack of 8ft rods would mean you receive a quantity of 10 rods precision cut at 8ft. If you have additional questions, please give our team a call at 1 (866) 226-6536. Is it possible to use the rods without the tensioning equipment? If they are cut and installed to the exact length of the run, why would tensioning be needed? I’ve never used this system and don’t quite understand the need to tension. I do understand why it’s needed for cable. Using rods without tension would not be recommended. Without tension the rods could just slip out of the posts and there’s nothing to prevent them from bending. If you give one of our specialists a call at (866) 226 6536 they could probably explain the system more thoroughly. We will be releasing a kit designed specifically for this purpose very soon. Check back on our website in 2-3 weeks and we should have it available. Or you can always give us a call at (866) 226 6536 and talk to one of our specialists. Is this kit available yet? Our 1/4″ Rods are available as well as our 1/4″ Rod Installation Kit (https://www.stairsupplies.com/product/1-4-rod-installation-kit/).